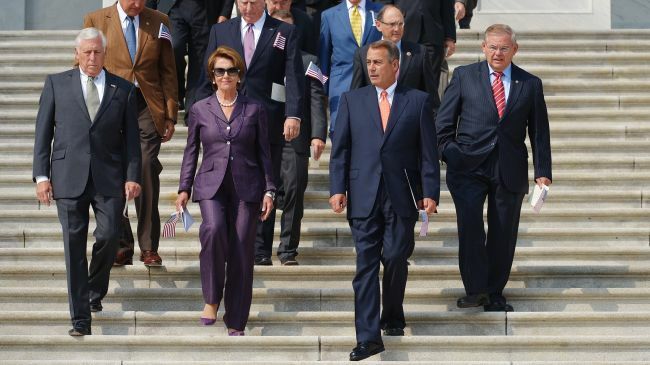 US Congress members walk down the stairs at the Capitol Hill, Washington DC, to attend an event marking the anniversary of the 9/11 attacks, September 11, 2013. The Israeli lobby in the US has been trying to “suppress” a revealing 28-page section of a classified Congressional report on the September 11, 2001 terrorist attacks that reportedly points to Israeli involvement in 9/11, says an intelligence analyst, Press TV reports. The American analyst pointed to attempts by the American Israel Public Affairs Committee (AIPAC), the powerful Israeli lobby in the US, to suppress the pieces of information in the report, which reportedly identified involvement by the Israeli intelligence in planning and carrying out the 9/11 attacks. “This is only the most recent of revelations that AIPAC has managed to suppress through pressuring Congress and its powerful assets in the press,” Duff wrote. On September 11, 2001, a series of coordinated attacks were carried out in the United States, leaving almost 3,000 people dead. According to the official account by the US, during the 9/11 attacks, 19 “al-Qaeda terrorists” hijacked four commercial passenger jet airliners and crashed two of them into the Twin Towers of the World Trade Center in New York City, killing everyone on board and many others in the buildings. The United States, under the presidency of Bush, attacked Afghanistan to remove the Taliban regime, which Washington accused of harboring the “al-Qaeda” terrorists involved in the 9/11 attacks. “Often we hear it asked, ‘How could thousands be involved in a conspiracy so heinous?’ We now stand ready to answer. The time has come to ask,” Duff concluded. The global US military campaign, which came to be known as the “war on terror,” was modified under President Barack Obama, who, despite having called for an end to the US wars in Afghanistan and Iraq during his election campaign, virtually expanded US military adventures by shifting from boots on the ground to killer drones in different countries in the world. A woman takes a moment to mourn lost relatives at the memorial site of the now destroyed World Trade Center, New York, the US, September 11, 2013. Recent revelations published on the Press TV website, the New York Post and Veterans Today have changed history. What is also clear is that President Bush’s personal role in covering this up protected the real perpetrators of 9/11 and pushed the US into, not just two insane wars but draconian moves against America’s government. Nine eleven was a coup against the constitution. Additional reports released this week make clear some of the reasons Bush lied to the American people, to congress, our military and our allies, “Obama’s Director for National Intelligence, James Clapper, has declassified new documents that reveal how the NSA was first given the green light to start collecting bulk communication data in the hunt for Al-Qaeda terrorists after 9/11. President Barack Obama’s administration has for the first time publicly confirmed ‘the existence of collection activities authorized by President George W. Bush,’ such as bulk amounts of Internet and phone metadata, as part of the ‘Terrorist Surveillance Program’ (TSP). We can prove Bush was fully criminally culpable in covering the tracks of those responsible for 9/11. More frighteningly, the articles published this week in Rupert Murdoch’s New York Daily News, written by Hoover Institute fellow and AIPAC member, Paul Sperry, now not only blame Prince Bandar of Saudi Arabia as the 9/11 mastermind but tie Bush (43) in as well. In fact, the entire AIPAC apparatus, the largest lobbying organization in Washington, is currently engaged in a “full court press,” to stop congress from pushing for the release of the real report. Is this because the real report accuses Israel, not Saudi Arabia, and AIPAC wants the Murdoch/Sperry story to stand? In fact, Ambassador Lee Wanta, a former White House Intelligence Chief and Inspector General of the Department of Defense under Reagan, has cited meetings between key government officials and “bin Laden” that he attended, meetings held in both Los Angeles and Washington DC while the US was supposedly hunting him. From Wanta, who was present during these meetings, “In early 1990, bin Laden, suffering from advanced kidney disease, was flown to an American facility in the Persian Gulf. From there, bin Laden flew to Los Angeles, landing in the Ontario airport, met by Albert Hakim, representing President Bush (41), Ollie North (free on appeal bond), Admiral William Dickie, attorney Glenn Peglau and General Jack Singlaub, one of the founders of the CIA. Hakim was the personal representative of President Bush and in overall charge of the project. ‘Bud’ McFarlane, an Iran-Contra figure pardoned by President Bush in 1992, was also a part of the group. In 2007, the FBI flew a team to Bangkok to interview former Soviet nuclear intelligence specialist Dimitri Khalezov. Khalezov told the FBI that, in the morning of September 12, 2001, he attended a breakfast gathering with Mossad Operations Chief Mike Harari and his son along with other Israeli operatives. Khalezov reported to the FBI that this gathering was to celebrate the 9/11 attacks, not as Netanyahu had said, as a “fortunate happenstance for Israel” but as a Mossad attack on the United States. At that meeting, Harari also claimed credit for a role in the Oklahoma City bombing. According to Khalezov, Harari was courting him to join their group for an upcoming operation, a bombing attack on Bali, scheduled for 2002. On October 12, 2002, a huge explosive device devastated nearly a square mile killing 202 people. An Islamic group was blamed, just as with not just 9/11 but, initially, Oklahoma City as well. Khalezov told FBI agents that Harari claimed nuclear weapons were used to bring down the twin towers on 9/11. Harari also said he got a “cruise type” missile, a Soviet “Granit” for the Pentagon attack, purchased through Victor Bout, the “Lord of War” played by Nicholas Cage in the film of the same name. Bout, residing in Bangkok with Harari and Khalezov, was extradited to the United States based on a highly classified indictment accusing him of supplying the guided missile used to attack the Pentagon on 9/11. Bout was arrested in Bangkok in 2008, not long after the FBI visit. He was officially convicted of supplying arms to rebels in Colombia, an activity Bout had long been engaged in on behalf of the CIA, his arms dealing partners for many years. Thus far, the initial report to congress on the Bush falsification does not qualify as a leak. Only Bush stands accused, the 9/11 perpetrators are still safe, their identities still protected by security protocols maintained by President Obama, despite congressional demands. “Claimed” leaks reported by Sperry in the Washington Post blame Bandar and Saudi Intelligence for 9/11. Sperry cites the CIA as a source but, quite suspiciously, seems to be attempting to deflect the possible fallout against Israel when or if then real report is made public. The Sperry story, coordinated with AIPAC’s moves to quell congress’s demand to declassify the report may well be an indication that Israeli intelligence, as Khalezov indicates, worked with Bush to plan and execute 9/11. This is only the most recent of revelations that AIPAC has managed to suppress through pressuring congress and its powerful assets in the press. What is increasingly clear is that many of AIPAC’s allies in Washington had access to the non-redacted report. An entire administration, leaders in congress and the Pentagon, the CIA, NSA and a dozen other organizations, all knew what was in the congressional report. They all lied to the 9/11 Commission. They all ordered measures to suppress freedom at home and to butcher hundreds of thousands around the world, kidnap and torture thousand more, all based on lies. Countries were virtually wiped off the map on a whim. Often we hear it asked, “How could thousands be involved in a conspiracy so heinous?” We now stand ready to answer. The time has come to ask. The September 11, 2001 attacks in the US were a “false flag” operation carried out jointly by the US, Israel and Saudi Arabia with "Zionists playing the lead role," an analyst tells Press TV. 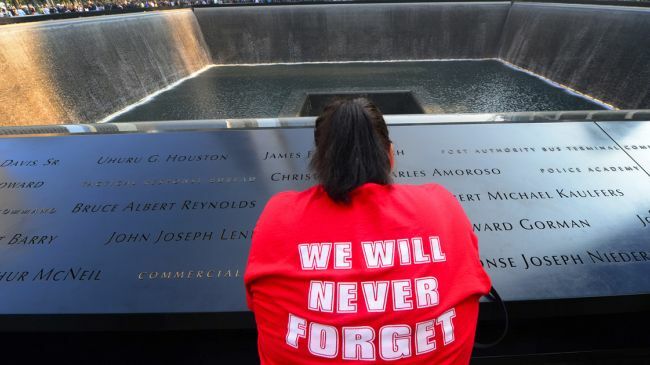 On Thursday, a US federal court ruled that relatives of people who died in the 9/11 attacks can sue Saudi Arabia, reversing a lower court ruling in 2002 that had found the kingdom immune from lawsuits. The complaint states that much of the funding for the al-Qaeda terrorists involved in the attacks on the World Trade Center and the Pentagon came from Saudi Arabia. “There were no hijackers, there were no hijackings, this has been proved in many, many ways,” Dr. Barrett said on Saturday. “Ten of the 19 guys they blamed were still alive after 9/11,” he added. Dr. Barrett said a “suppressed” report by the Congressional Joint Inquiry of 2002 would shed light on the true perpetrators of the attacks, should it become public. The controversial document, however, has remained classified to this day. Former Sen. Bob Graham (D-Fla.) who chaired the inquiry at the time has stated that the document includes information “implicating a foreign government,” Dr. Barrett said. “But there has been such a cover-up,” he added. The September 11 attacks, also referred to as 9/11 were a series of four coordinated attacks upon the US cities of New York and the Washington, DC which killed nearly 3,000 people. 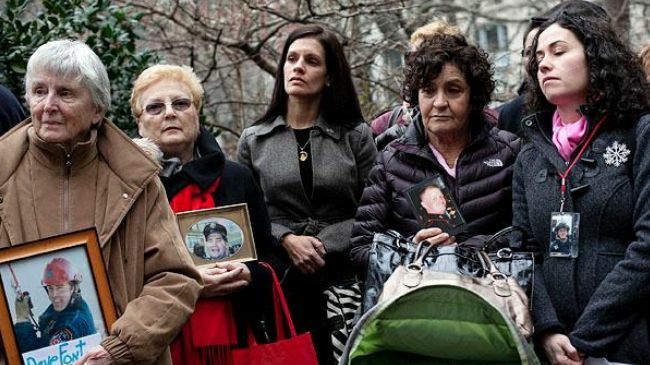 Families of the victims of the Sept. 11, 2001 attacks have celebrated a federal court's ruling that allows relatives of people who died in the attacks to sue Saudi Arabia. The lawsuit states that much of the funding for the al-Qaeda terrorists involved in the attacks on the World Trade Center and the Pentagon came from Saudi Arabia. On Thursday, a three-judge federal panel of the 2nd US Circuit Court of Appeals in Manhattan, New York reversed a lower court ruling in 2002 that had found Saudi Arabia immune from lawsuits. "I'm ecstatic.... For 12 years we've been fighting to expose the people who financed those bastards," said William Doyle, the father of Joseph Doyle, 25, a Cantor-Fitzgerald employee who was killed in the North Tower of the World Trade Center. "Christmas has come early to the 9/11 families. We're going to have our day in court," he told ABCNews.com. The complaint, filed a decade ago by the Philadelphia firm Cozen O'Connor, accuses the Saudi government and members of the royal family of bankrolling al-Qaeda operations. “This opinion is eminently correct and will give 9/11 victims their day in court,” said Stephen Cozen, a partner at the law firm. Investigative journalists and independent researchers who have looked into the 9/11 attacks say the United States has covered up the kingdom’s involvement. 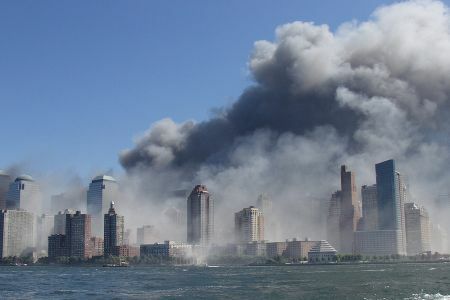 “The dust has not entirely settled over the causes of 9/11 but the heavy hand of our good friends, the Saudis, played a major role in that and it was covered up from the get-go,” Bill Jones, the Washington bureau chief for Executive Intelligence Review, told Press TV on Thursday. He suggested that the US intelligence services may have been involved in the attacks "through their relations with the Saudis." A Guantanamo Bay prisoner, charged with involvement in the nine-eleven incidents, has been sent out of his pre-trial hearing after speaking about his being tortured in custody. Ramzi bin al-Shibh was taken out of the courtroom after he spoke about banging noises the guards deliberately make throughout the night to prevent him from sleeping. During the hearing, Bin al-Shibh refused to answer the judge's questions, and instead, used every opportunity to talk about his being tortured. Bin al-Shibh, who's a Yemeni national, is among five Gitmo inmates accused of aiding in the nine-eleven attacks. The five co-defendants face charges, including murder and hijacking. If convicted, they can get the death penalty. The U-S is still holding more than 100 other detainees at the notorious prison in Cuba without charge or trial. 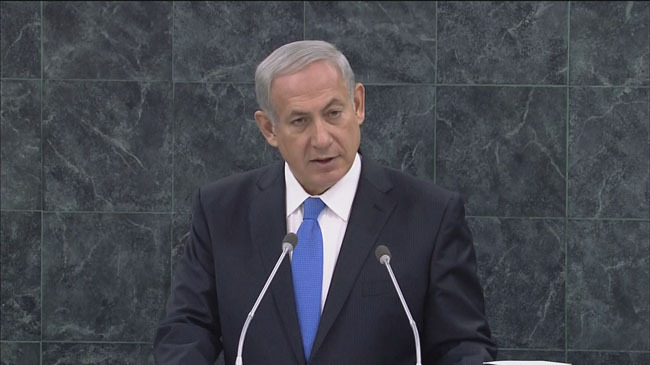 A US political commentator says it is a disgrace for the United States that a mass murderer like Benjamin Netanyahu can come to Washington and dictate the American president what to do. Dr. Kevin Barrett, who is one of the renowned US critics of Washington’s so-called war on terror, made the remarks in an interview with Press TV on Tuesday, a day after the Israeli prime minister met with US President Barack Obama and asked him to toughen sanctions against Iran over its nuclear energy program. After meeting Netanyahu, Obama repeated his war rhetoric against the Islamic Republic, saying, “We take no options off the table, including military options, in terms of making sure that we do not have nuclear weapons in Iran." The Israeli regime is widely believed to be the sole possessor of a nuclear arsenal in the Middle East with more than 200 undeclared nuclear warheads. Tel Aviv has rejected global calls to join the nuclear Non-Proliferation Treaty (NPT) and does not allow international inspectors to observe its controversial nuclear program. The US, Israel, and some of their allies have repeatedly accused Iran of pursuing non-civilian objectives in its nuclear energy program and have used the unfounded accusation as a pretext to impose illegal sanctions on the Islamic Republic. Barrett said that a US president in his second term, such as Obama, should be able to resist Tel Aviv’s pressure and stand up for American benefit rather than Israeli interest. “I would hope that these words of Obama’s are really just sort of empty words that he is feeding the Zionist lobby to try to keep them happy,” the political commentator stated. “I think it is a disgrace to the presidency and to the United States of America that a criminal against humanity on the scale of Netanyahu, who has blood all over his hands in so many ways, who is actually a prime suspect in the controlled demolition of World Trade Center in September 11, 2001… he immediately went on television and said that… it is very good. That was his reaction to September 11… and then he caught himself and said well actually I meant it was just good for Israel,” he said. “But he was basically celebrating 9/11 just like the dancing Israelis who were caught at celebrating the success of the demolition of the Twin Towers in New York. Hackers are expected to launch a cyber attack on Israel, on the anniversary of the 11th September attacks in New York City. According to activists, the cyber attacks on Israel will be launched today on the anniversary of the 11th September 2001 attacks, in which four kidnapped airplanes attacked targets in New York; including the The World Trade Center in Manhattan, and the headquarters of the US Department of Defence "The Pentagon." The hackers, belonging to a group called Anonymous, announced Tuesday their intention to attack several Israeli websites including the government's in a new operation entitled "OpIsrael Reborn." The Federal Bureau of Investigation (FBI) has warned institutions and citizens in Israel and United States that there is a possibility of an international attack directed at computers unprotected and advised them to use strong passwords. The group released 165,000 names, addresses, email addresses and phone numbers of Israelis, Haaretz reported. Anonymous has called on its members to vandalize Israeli websites or cause traffic that would prevent access to these sites. It's worth mentioning that the group's most recent cyberattacks against Israeli sites took place in April, on the Holocaust Memorial Day. "Cease and desist from your terror upon the innocent people of Palestine or you will know the full and unbridled wrath of Anonymous," the group said, "and like all the other evil governments that have faced our rage, you will not survive it unscathed. 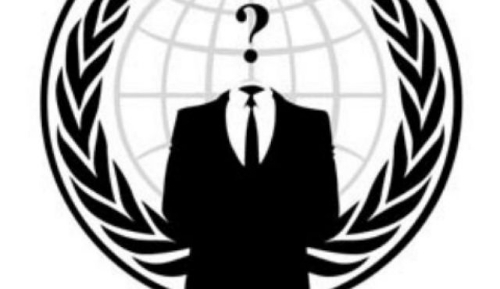 To the people of Gaza and the 'Occupied Territories,' know that Anonymous stands with you in this fight." The White House announced on Tuesday evening that it has strengthened security measures at US facilities outside the United States on the anniversary of the 11th of September attacks in New York city. The White House said in a press statement that measures were taken to ensure the security and safety of American citizens and US facilities abroad. The White House added that the attacks of 11th September 2012 targeted the headquarters of the U.S. consulate in Benghazi, where an American ambassador to Libya and three others were killed.